Aircraft maintenance engineers install, maintain and repair aircraft structures, airframes and engines, and aircraft radio, avionic (electronic) and mechanical systems. Source: ServiceIQ and Royal NZ Air Force, 2017. Chances of getting a job as an aircraft maintenance engineer are poor for those wanting to enter the role, and average for those with experience. 3-5 years of training required. Pay for civilian aircraft maintenance engineers varies depending on experience and level of responsibility. Non-qualified and apprentice aircraft maintenance engineers usually earn between $37,000 and $45,000 a year. Those with three to four years' experience usually earn between $45,000 and $60,000. Senior aircraft maintenance engineers usually earn between $60,000 and $80,000. Senior aircraft maintenance engineers in supervisor or manager roles usually earn between $70,000 and $130,000. Pay for Air Force aircraft maintenance engineers varies depending on experience and level of responsibility. Trainee aircraft maintenance engineers receive a recruit's salary of $36,000 a year. Trained aircraft maintenance engineers can earn between $46,000 and $51,000. Senior aircraft maintenance engineers can earn between $50,000 and $63,000. Aircraft maintenance engineers in the Air Force also receive benefits such as free medical and dental work, and subsidised food and study. Source: Service IQ and Royal NZ Air Force, 2017. Licensed aircraft engineers also inspect and approve the work of other aircraft maintenance engineers. safe work practices and aviation safety rules and regulations. may travel around New Zealand or overseas. Thousands of different components and hundreds of tonnes of metal require the detailed attention of Andrew Smith and his fellow aircraft maintenance engineers every day. "Firstly you strip a plane and then perform inspections looking for corrosion, cracks and other irregularities. Then any faults get fixed. The plane could be in for a few days or for over a week, but no matter how long you have got, you need to have given it 100 percent." While Andrew enjoys this day-to-day inspection work, he says it's the pressure and excitement of diagnosing and repairing a plane in between flights that gives him a real buzz. "Working with live aircraft is great. It could be troubleshooting on the tarmac, or the plane may need to come into the hangar. The plane may only be in for an hour or two, but you have to finish and get it back out to service as soon as possible." As an aircraft engineer it is our responsibility to carry out repairs and maintenance to aircraft to ensure they are safe to fly. Many people believe that getting a university degree is the only way to get ahead after leaving school. I know now that that is not the only option. I would recommend trades and services, particularly aircraft engineering, to anyone that is up for a challenge in a fast-paced and fast developing industry. For me on-the-job training works really well. I love being able to experience working in the real world and getting paid while I learn. One of the best parts about on-the-job training is having all of the experienced engineers here to help us when we need to. They don’t hesitate to answer any of our questions and have a wealth of knowledge that they are always willing to share. Things I love most about my career are the fact that every day is different, I’m earning while I learn, there are so many different opportunities in this business. The next goal in my career is to become a licensed aircraft engineer so I can certify aircraft. I’m Nicole Brian, I’m an aircraft engineer. I’ve got a trade, I’ve got it made. There are no specific requirements to become an aircraft maintenance engineer. However, you can complete training and gain a qualification. 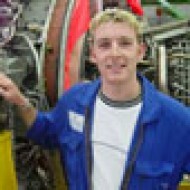 Industry training organisation ServiceIQ oversees aircraft maintenance engineering apprenticeships. Certificate in Aeronautical Engineering Fundamentals (Level 3) through Nelson Marlborough Institute of Technology or the Royal NZ Air Force. A New Zealand Certificate in Aeronautical Engineering (Level 4). A Diploma in Aeronautical Engineering (Level 5). NCEA Level 2 in English, maths and science is usually needed to enter tertiary training. Processing technologies, and construction and mechanical technologies may also be useful. able to work well under pressure and make good decisions. Aircraft maintenance engineers need to have a good level of fitness because they spend a lot of time on their feet, working in and around aircraft, and may do heavy lifting. The must also have normal colour vision, because some aircraft components are colour-coded. They should also be comfortable working in confined spaces, as they work in cockpits and wheel cavities. All aircraft maintenance engineers who supervise aircraft engineering and maintenance work need to be Licensed Aircraft Maintenance Engineers (LAMEs), approved by the Civil Aviation Authority. Aircraft maintenance engineer vacancies are limited because most people stay in the role for a long time. However, some vacancies do arise due to retirement or qualified people moving overseas to work. About 2,700 aircraft maintenance engineers work in New Zealand. Air New Zealand is New Zealand’s largest employer of aircraft maintenance engineers. It runs training programmes through the Aviation Institute in Auckland and Christchurch. The Aviation Institute accepts between 30 and 50 people a year into its engineering training programme. Air New Zealand then accepts up to 20 trainees a year. The Royal NZ Air Force also offers traineeships for aircraft maintenance engineers. the Royal NZ Navy (working on helicopters). 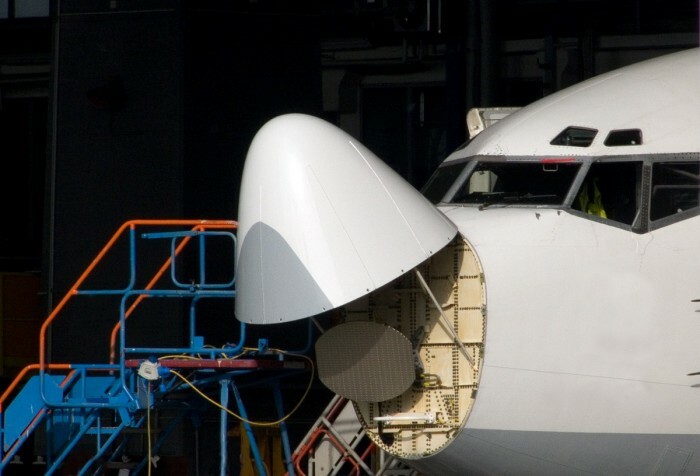 Some aircraft maintenance engineers are self-employed. Air New Zealand Aviation Institute website, accessed December 2017, (www.aviationinstitute.co.nz). Ministry of Business, Innovation and Employment, '2006-2014 Occupation Data' (prepared for Careers Directorate – Tertiary Education Commission), 2015. Royal NZ Air Force website, accessed December 2017, (airforce.mil.nz). Aircraft maintenance engineers may progress to become licensed aircraft engineers, who supervise and sign for completed work. They may then move into management roles, or do further studies to move into aeronautical engineering. aircraft electrical systems, instruments and radios (avionics). With further training, aircraft maintenance engineers specialising in avionics may progress to become aeronautical or electronics engineers.